Instagram is a very popular social media platform and is forever growing and whether your business is you, a product or a service, this Instagram workshop is designed to show you how to effectively market your business on this platform. Dorset BID is putting on a workshop which will take place on the 23rd October from 9:30am–1:15pm in Poundbury at Key digital and will include a light lunch over a Q&A session. Standard price is £120, however, it’s a special price of £59 for Chamber members. They are also going over Facebook marketing for those who already have an established Facebook business presence to help with the recent algorithm updates and to show you how your followers are seeing your content. Have you been tempted to boost your post on Facebook? You can learn how to make the most out of boosting a post and how to effectively use Facebook advertising to target your audience. 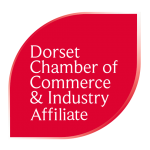 Members of the chamber, please contact Phil Gordon at philg@dorchesterdorset.com if you are interested in the workshop and to get that discount on the day!